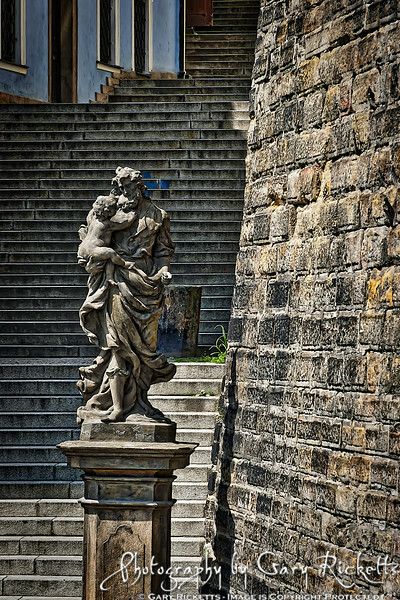 The statue on Ke Hradu street stands at the bottom of the 173 steps leading up to Prague castle. With a history of more than 1000 years, the castle was the seat of power for Czech royalty until 1918 when the republic of Czechoslovakia was created. The castle is now the residence and office of the Czech President.